From sweltering summers to frigid winters, the northeastern part of the United States gets the best of every season. But have you ever thought about how the weather affects your wiring? 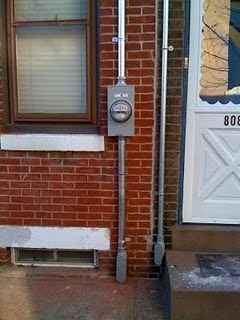 While some homeowners have their electrical service equipment located inside, most Philadelphia residents have theirs exposed to the elements. Often times, electrical service cables run through PVC piping. While this may be a good option in certain cases, PVC can become brittle and crack when exposed to the elements. In addition to the weather, PVC can wear down with age. If exposed, 200 amp service cables can become serious hazards. On the other hand, metal conduits are a much better and safer option. They will never become brittle and will last much longer, even when exposed to the worst that Mother Nature throws at us. Although it’s a bit more expensive to install, you should consider upgrading if your home’s electrical service equipment is exposed to the outdoors. Not sure if your electrical equipment is safe? Contact GEN3 Electric to inspect your service cables and help protect your home’s wiring.